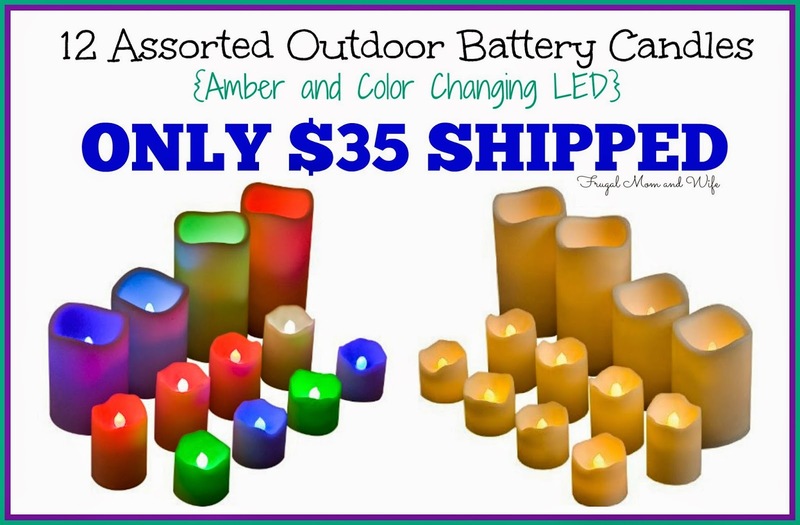 Indoor Outdoor Resin LED Candles with Amber Flicker and Color Changing Option - Set of 12. Batteries included! This Versatile and colorful set of 12 resin battery operated candles for use indoors and outdoors. The variety of sizes makes it easy to set the mood and will illuminate your outdoor entertaining. For the more romantic feel, switch to the Amber Flicker mode to get the realistic ambiance of a candle or if you're throwing a party and want the vibe to be fun, switch to the Color Changing option. Inside or outside these lightweight candles are easy to take with you on the go for a picnic or a friend's BBQ. Don't worry about them melting or chipping as they are made of high quality resin that will handle normal banging and knocking around. **Prices are subject to change at anytime. Please verify your total at checkout.